Salford software company K3 Business Technology Group has announced an £8.5million fundraising and changes to its board. The group is seeking to raise up to £7.5m through a placing at 140p per share and up to £1m through an open offer at the placing price. Proceeds will be used to strengthen the group's balance sheet and provide additional working capital while the board conducts a review of group resources and operations. An additional £0.7m is being invested in K3 through the exercise of warrants by Johan Claesson. The group also announced a number of changes to its board, including the retirement of chairman David Bolton and the appointment of chief financial officer, Rob Price, to the board. 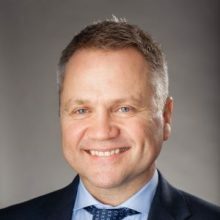 Chief executive Adalsteinn Valdimarsson said: "We would like to thank David Bolton for his significant contribution and counsel to K3 over almost 20 years. "He has shown a high level of commitment and dedication to the company during this time and we wish him well in his retirement. "Non-executive director Stuart Darling will hold the role of chairman on an interim basis, while the board undertakes a recruitment process."